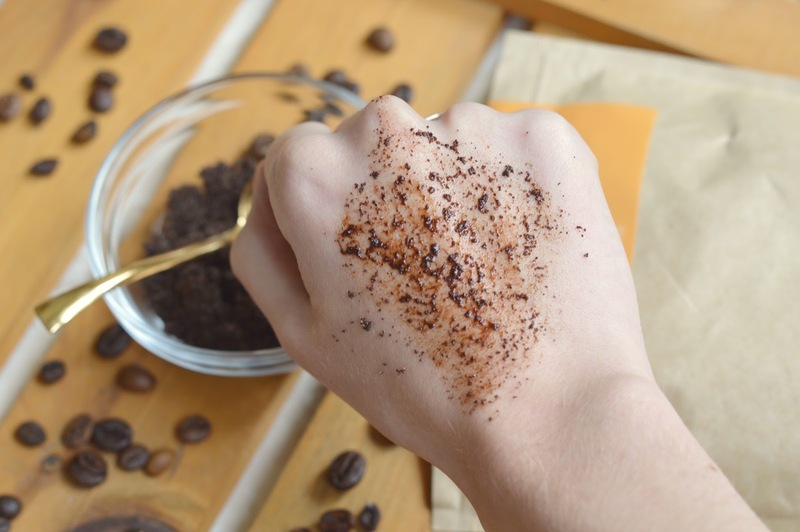 They picked out the Almond and Macadamia Coffee Scrub for me to try out, and I am thrilled since this one contains sweet almond oil – one of my favourite oils to use head to toe. Unlike with my first bag of coffee scrub, I've been using this one almost exclusively on my face. I used this scrub as a post-flight treatment a few weeks back to bring my skin back to life after being stuck in the dry plane air. I’m always so cautious with gritty scrubs, since I really hate causing irritation to my already sensitive skin. 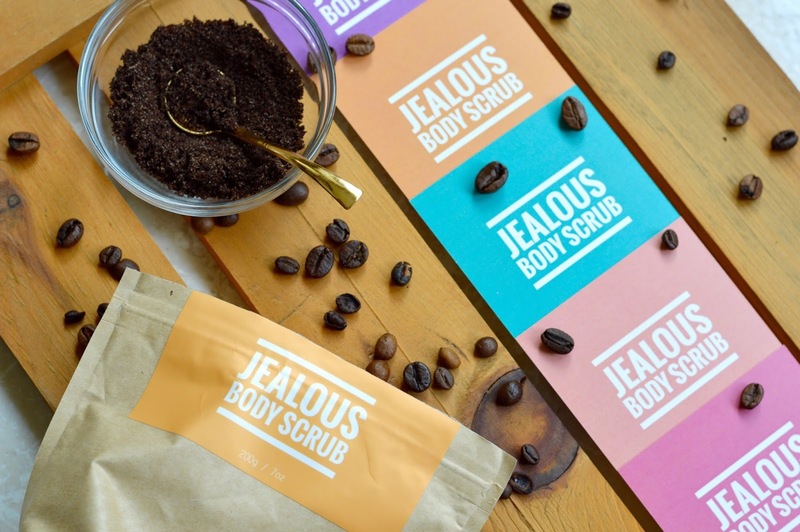 Luckily, all of the Jealous scrubs have extremely fine particles that gently buff over your skin, leaving it glowy and fresh after rinsing. 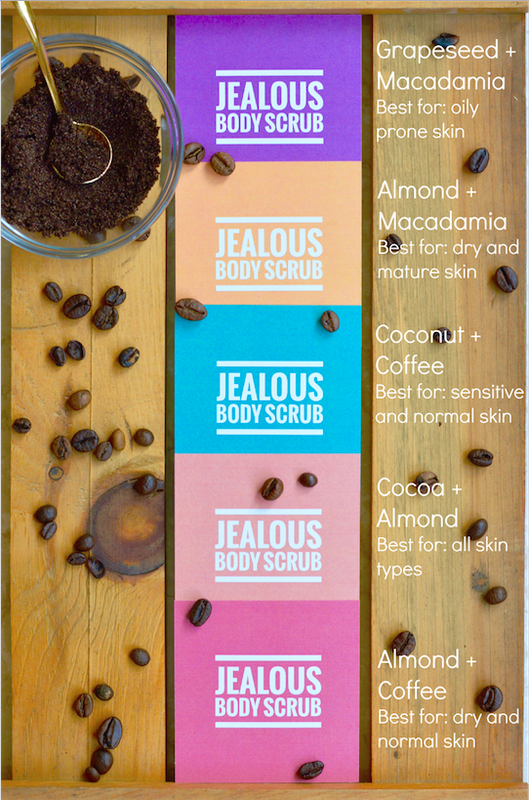 Just make sure to keep this scrub away from cuts or active blemishes since the acidic coffee will sting. I love how this treatment gives me the satisfaction of scrubbing all the dirt off my skin, without being too harsh like the typical sandy exfoliators. I don't use my Almond + Macadamia scrub daily, but I will use it a few times per week when I'm taking a bath as a one-and-done facial. If I'm having a particularly good skin day, this is the only product I'll use after removing my makeup since it cleans and moisturizes at the same time. 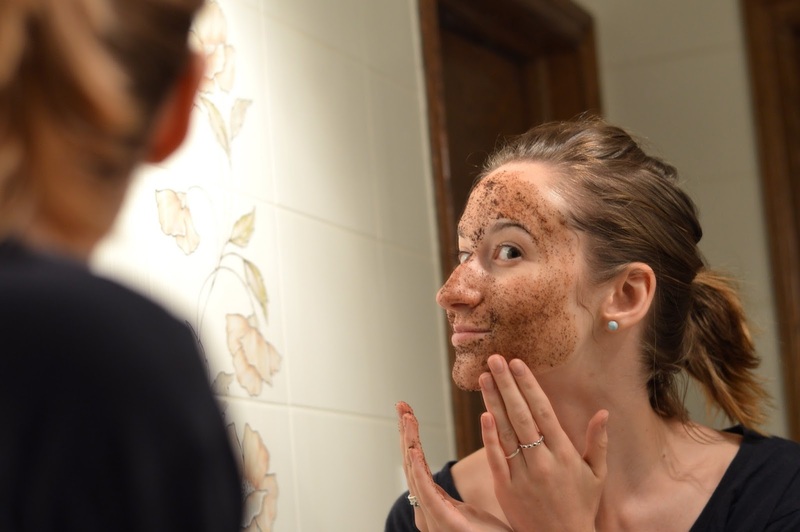 Note: This scrub may leave a dark trace on the skin if it isn’t thoroughly rinsed-off. Avoid wearing your favourite white dress after using Jealous Body, or make sure that it’s one of your first steps in the shower so you have time to rinse it all off. Also, avoid the delicate eye area. So now all you have to do is get that bikini on and start scrubbing! One (huge) bag is $18.95 online, with free basic shipping. It's always nice to support Canadian brands, especially when they create fun, natural and effective goodies. 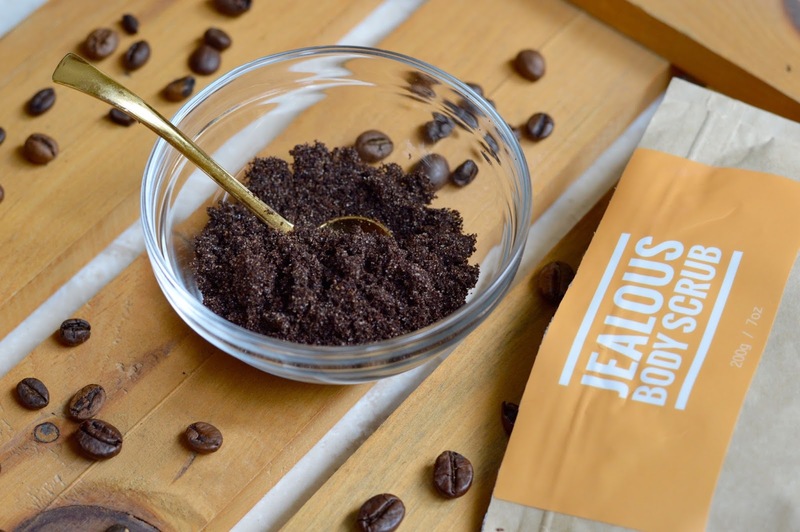 Shop the entire line of Jealous Body coffee scrubs here.